What did you think of Number Names ? 2. To write numbers from 21-99 in words, first write tens part, followed by a hyphen, and then write the ones part. For example: Let's write 75 in words. So, 75 is written in word form as seventy-five. 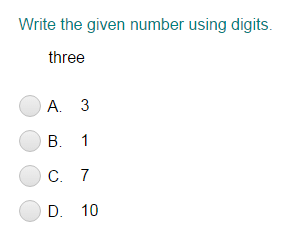 Also, if the ones part is 0, then only tens part is written. For example: 40 is written in word form as forty.